Entrance to the island is free by bike or foot, and only $10 per year for your vehicle. Within this storied haven there are so many cheap/free things to do: play disc golf, ride down a giant six-lane slide for $1, expand your knowledge of maritime folklore at the Dossin Great Lakes Museum, feed fallow deer at the nature center, rent a tandem kayak for $20, admire each other’s flab at the beach, ride bikes, explore, etc. On any given night, you can find several bars hosting karaoke in Detroit. Passionately belting out the lyrics to any number of Madonna songs is something we really enjoy here, so hit the town and wreak out-of-tune havoc on other people who sound equally horrible. Make a night of it. Entrance to the Detroit Institute of Arts is free for tri-county residents, the Motown Museum offers $10 admission Tuesday-Thursday, the Detroit Historical Museum is free, admission to the Michigan Science Center is $9 after 4:30 on weekends (where you can totally sneak a smooch in the planetarium!). Take your love to see the almost-latest at the Ford Drive-In movie theater (cost is $9.25 per person, so you’ll still have enough cash to split a jalapeño cheddar slider from White Castle and sip our city’s finest tap water. 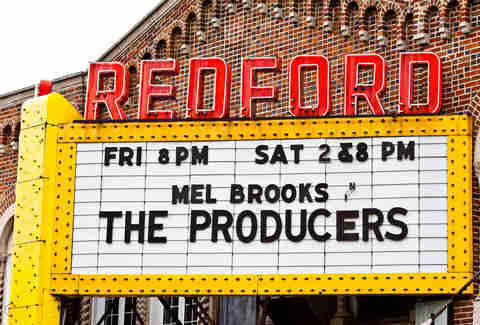 Other out-of-the-ordinary options include the restored Redford Theatre, the Detroit Film Theatre at the DIA, or any of these sweet outdoor flicks. We’ve talked it up quite a bit already, and here we are doing it again. Because having things fly around your head is always romantic -- and this Detroit original may be the best sport of all time. Touted as America’s oldest active bowling center, watch as your date gracefully bends over and puts a mean spin on that 10lb Brunswick. Lane rentals are only $8/hour before 6pm Monday-Thursday, which leaves you extra money for libations and ‘za from Sgt. Pepperoni's. 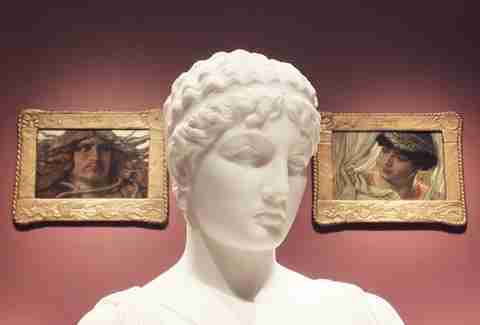 In addition to the DIA, our majestic metropolis is also home to a number of art galleries which host regular openings and events and are often free to enter. It’s a fun way to check out what your creative city brethren are up to. 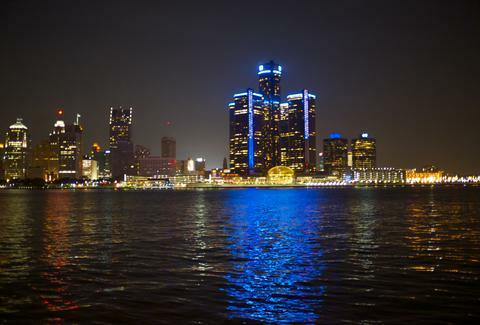 Check out the Detroit Artists Market, Public Pool, the Contemporary Art Institute of Detroit, Hatch Art, Scarab Club, etc. More than 300 acres of ponds, gardens, and forest surround this prestigious arts academy and two museums. It’s the perfect place to stroll among the photography students and discover all kinds of strange structures like a Greek-style amphitheater, a Japanese garden, and a wigwam. For those who complain you have to drive hours to get to the “cool” part of Michigan, sure the nature surrounding Detroit may not fall under the “spectacular” category, but there is some decent and lovely stuff and the 13 Metroparks do a great job of preserving those areas. These are excellent places for visiting the farms, hiking, biking, walking, swimming, kayaking -- and generally escaping the city. 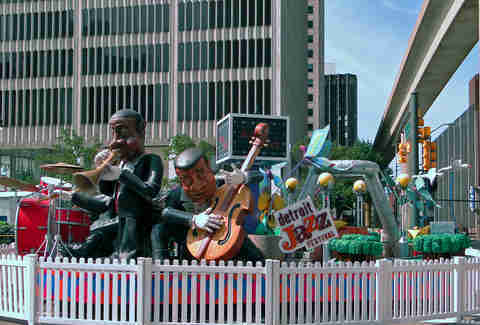 Michigan's got a shton of sweet festivals, and a bunch of 'em are free: there’s the Detroit Jazz Festival, John’s Carpet House's outdoor blues jams on warm-weather Sundays, Sidewalk Festival, Dally in the Alley, New Center Park, Campus Martius, Woodbridge Summer Festival, Hamtramck Labor Day Festival, Ferndale’s Pig & Whiskey and DIY, etc. Detroit’s international waterfront has been getting a lot more attention in recent years as a massive development project aims to increase use of the natural border. Watch freighters pass by from all over the world. Run like a mad person through the spurting fountains and wave “eh!” to Canada. The riverfront is at its liveliest in years and is expanding in length by the minute. 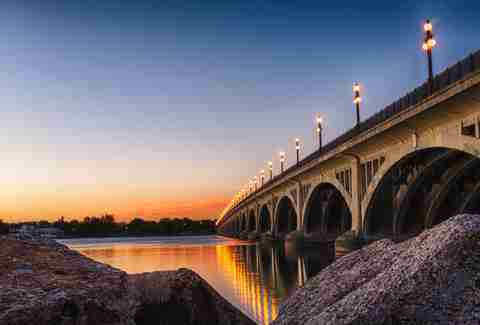 Eventually, the goal is to have it run more than five miles between the Ambassador Bridge and Belle Isle. Go now so you’ll have your “I was there when” stories to irritate your future grandkids with. 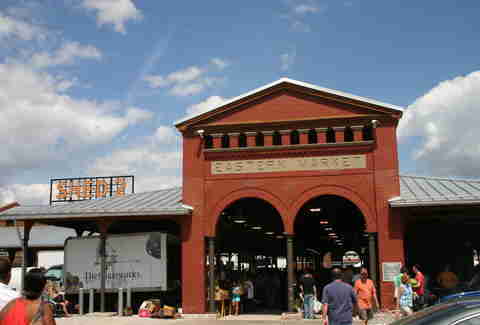 You can get all the fixin's for a bomb meal for two at Eastern Market for less than $20. There are morel mushrooms, locally raised meats, peppers so hot they’ll make you cry -- and it’s a great way to spend the day walking around one of the country’s longest-running markets. Head over to the “adult” fan section at one of DCFC’s (formed in 2012) games and you’ll feel more pride and joy than any major-league game in the city. Be prepared to learn some explicit chants, inhale smoke bombs, and even help a guy wearing a hot dog costume stay afloat while crowd surfing: a great date for people who want to get their smile on. OK, we’re a little bit early with this one, but it is one of the best things about a Michigan autumn -- and don’t shoot us, but it’s right around the corner. Blake’s, Franklin, and Yates are among the closest mills to the city -- though our state is full of them. Get hot cider and cinnamon donuts, stroll through the orchard, and get one last look at your date outside sans parka.